On the second place in the ranking is even a smaller breed of dog - Chihuahua. Recently this breed has become very fashionable and many people do not take these dogs seriously. But in vain! When Chihuahua is aggressive, not many dogs will surpass it. More likely you can be bitten by the Chihuahua than a Rottweiler. Leadership qualities of this breed are very strong, so the owner must properly train their pets and from early childhood to socialize Chihuahua and habituate it to the company of other dogs. The world's third most aggressive breed is not a Pitbull or Doberman Pinscher. It is another «toy» dog - Jack Russell Terrier. Terriers of all sizes do not tolerate rough handling and will fight. It is therefore necessary to ensure that children do not hurt the dog. Jack Russell Terriers often have aggression issues with other dogs. To make this breed calmer, you need to practice a lot with your dog train it and letting it run a lot. Pekinese can't threaten people because of the small size, but this breed can be very jealous and aggressive. Mostly it is aimed on other dogs or strangers coming to visit. Reforming the Pekinese is difficult. It is stubborn, and usually chooses for only one person as a master, to whom it attaches and makes friends with. With the rest the Pekinese is very wary and aggressive. The breed also does not tolerate small children. The Shar Pei is a Chinese dog listed in the «Guinness Book of World Records» as one of the rarest breeds in the world. Dogs of this breed have very independent and dominating nature, love to be a head of the family, so from the childhood they should be taught who the boss is. The Chinese Shar Pei successfully took part in the fights, so in it is in the breeds’ genes to show aggression towards other dogs. In the families these dogs behave pretty well, but they are not always patient with children. The early socialization of the dog can help to minimize its aggression. Some will be surprised seeing the Chow Chow in this ranking, but, nevertheless, this breed is one of the most aggressive dogs in the world. At first glance, Chow Chows are very attractive and cute fluffies, also the representatives of China. Before you buy this dog, you must remember that an adult Chow Chow cannot safely play with unfamiliar dogs and be left alone with children, because they are very irritable and defend their right to their food with a spiteful grin. Also Chow Chow are good guards, as they are very devoted to their owner, would not allow a stranger to approach to the master, and won’t not let anyone into their territory. A Shiba Inu is a very ancient Japanese breed used for hunting in mountainous terrain. The dog is very loyal, but at the same time it shows that it can live on its own, without its master. Early socialization helps this breed to get used to people. The Shiba Inu gets on badly with other dogs, towards which it behaves very aggressively. In case of danger and aggression the Shiba makes a strange sound similar to a cry and a howl. This dog needs constant attention and different physical exercises. The stylish and decorative Papillon bites heavily. The aggression is often aimed on children, who irritate this dog quickly, and can be bitten by it. The Papillons are very acquisitive dogs, and out of jealousy can attack the stranger. So even though this dog is small, it is very aggressive. Early socialization of puppies will help to avoid deviations in behavior, and prevent the aggression. Originally Cocker Spaniels were bred as hunting dogs, specializing in small game on a rough terrain. Now this is one of the most popular domestic breeds. Good defenders and not prone to aggression, Cocker Spaniels were included in this ranking due to genetic disease «rage syndrome». The disease is dangerous because the dog may suddenly lash out at its owners. If in a Cocker Spaniel develops this disease, the only way is to put your dog down. The Shih Tzu is a dog from China. 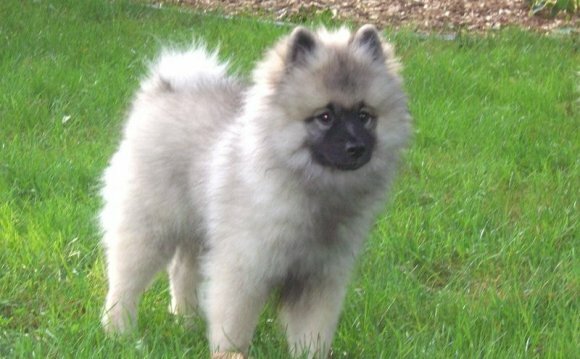 Its name is translated as a «lion dog» because it resembles the depiction of the Chinese lion. They are fearless, intelligent and energetic dogs, but like any predator, they need to restrain their temperament. Otherwise the Shih Tzu will take on itself the role of a wayward leader. Aggression can be caused by careless treatment of this breed, the lack of communication or if it was offended by the previous owner. The dog can clutch at legs, bite and lash out at any object, including people and children. If you don’t want your Shih Tzu to show its aggressiveness you need to train and socialize it properly from the puppyhood.